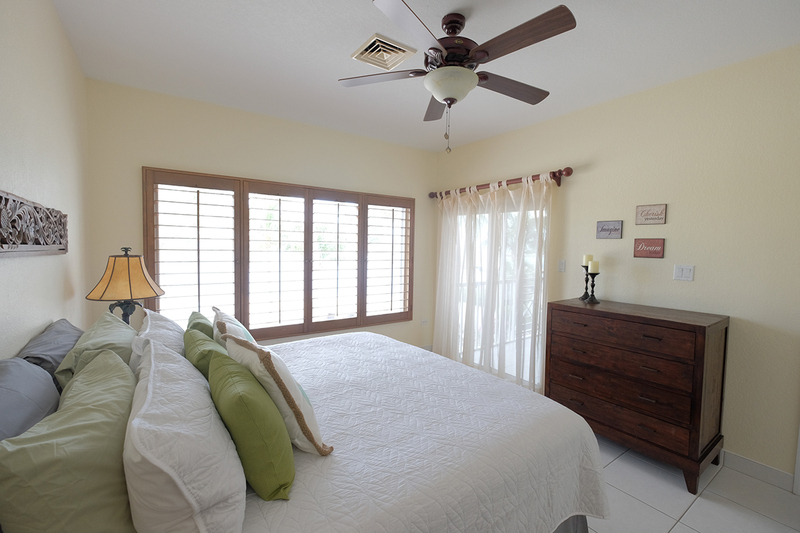 Kaibo “7UP” is a beautifully furnished and outfitted second floor condo at the Kaibo Yacht Club Phase 2 in Rum Point. 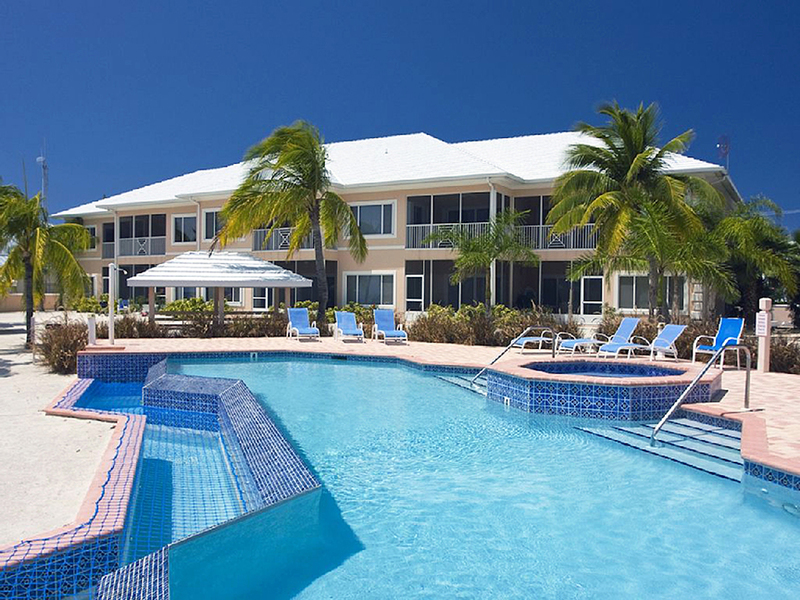 Kaibo “7UP” is a beautifully furnished and outfitted second floor condo at the Kaibo Yacht Club Phase 2 in tranquil Cayman Kai, on the north side of Grand Cayman Island This 2 bedroom, 2 bathroom condo is furnished with warm wood furniture in relaxing colours. 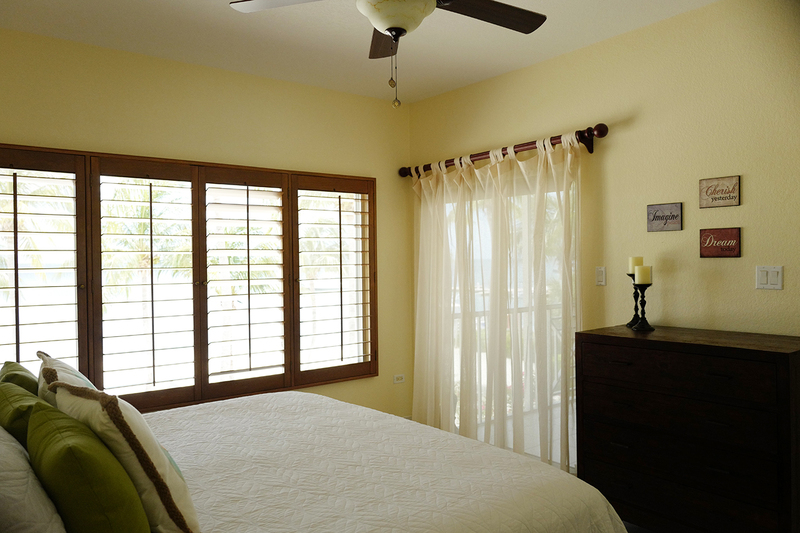 The master bedroom features a king size bed which overlooks the calm sea on the North Sound of Grand Cayman with an en-suite bathroom and large storage closet. The guest bathroom has a queen sized bed with a lovely garden view of the complex. For additional guests, there is a sofabed in the living room. 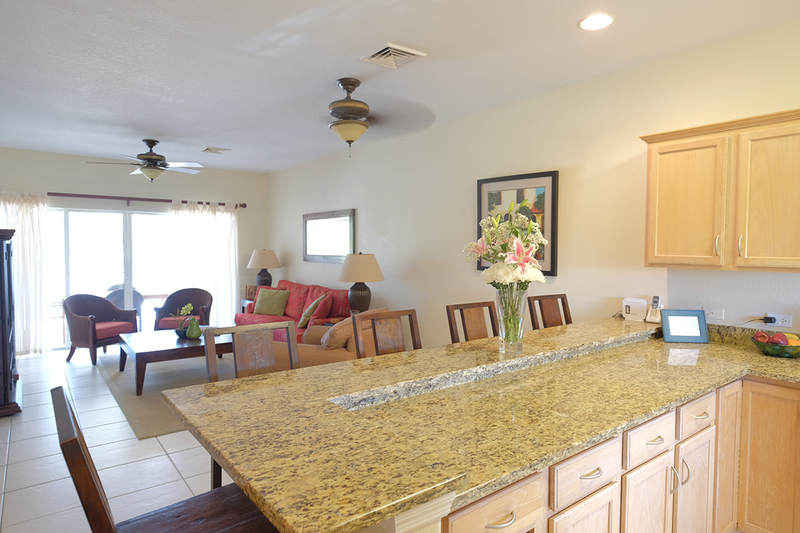 The kitchen is fully equipped with all appliances and kitchenware for a comfortable and convenient vacation away from home. Coffee and tea provided. 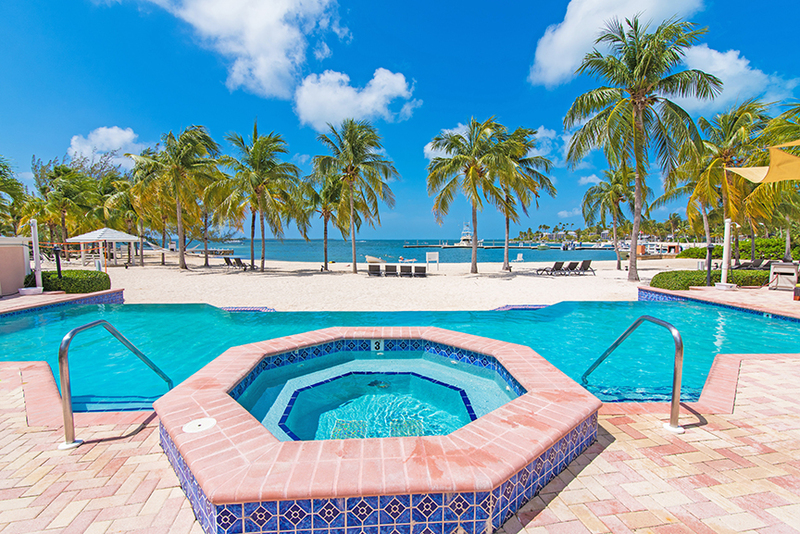 Cable TV and high speed internet access, along with an asortment of games and DVDs for a romantic getaway or fantastic family adventure in paradise! You get complimentary use of: 2 kayaks, 2 bikes and a Stand Up Paddle Board (SUP) with the rental of 7Up! A great value in addition to the condo. 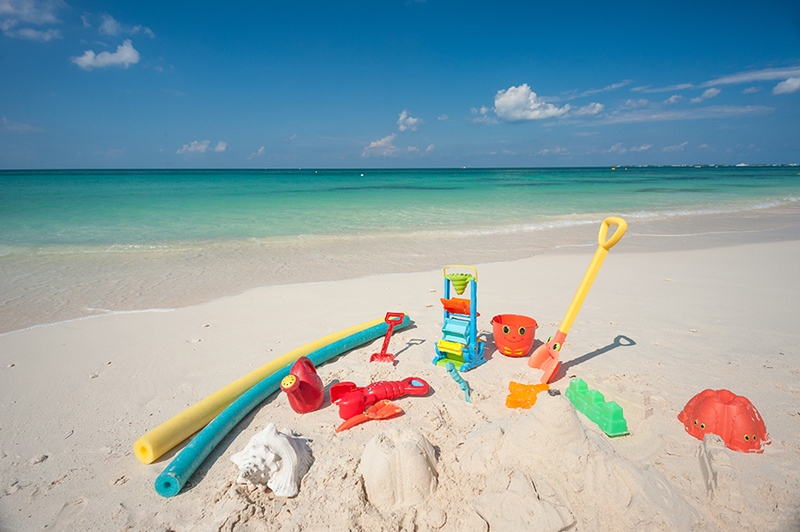 As if this was not enough, there are 4 beach chairs, cooler and umbrella, should you decide to explore the island for the day! Also a BBQ grill (coal provided) beach toys and floats. 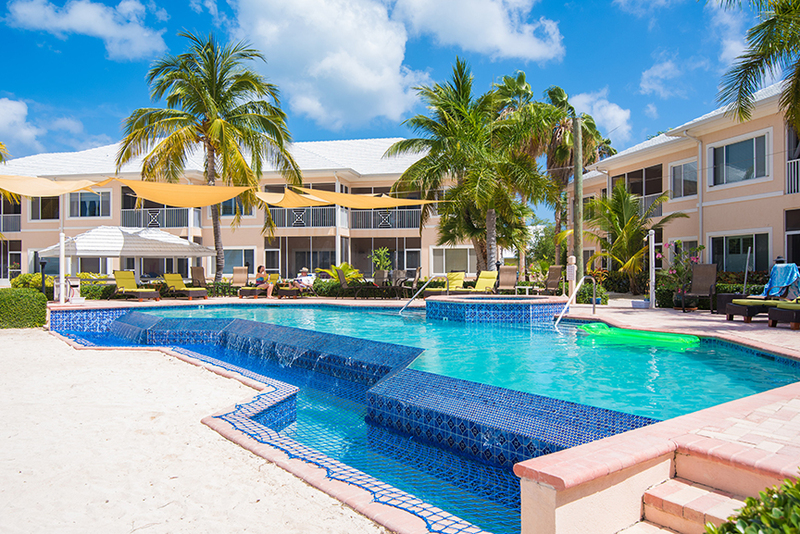 This condo provides everything for a perfect Cayman Island experience! 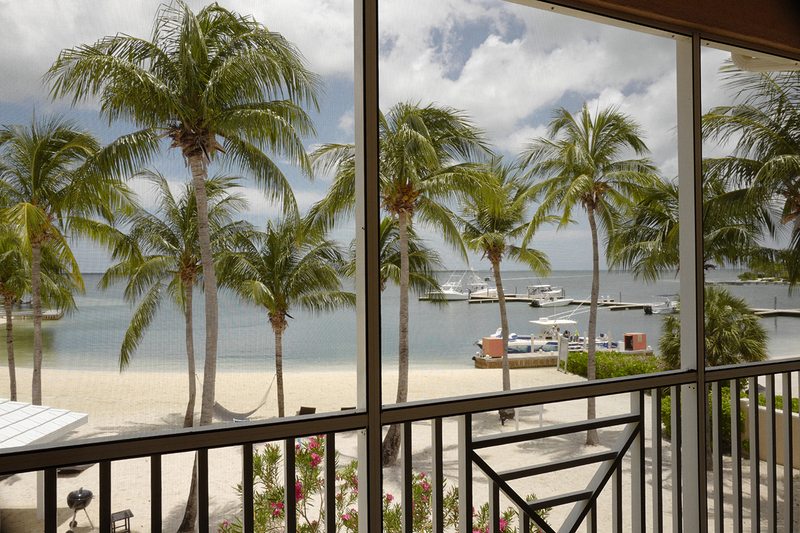 We have been to Grand Cayman about 10 times in the last 15 years, rented homes, stayed in time shares. This was by far the best location we have been too. Not only was the location perfect, but so was the accommodations. Our condo was clean, well appointed. It was large, comfortable and had everything we needed - even the little things you don\'t think you need! The view was amazing. It was like our own little piece of heaven each day. The Kaibo Yacht Club was conveniently next door and was marvelous. I would come here again and will very soon! Don\'t miss this one. It is worth the ride! 7 Mile Beach is overrated! My first thought...wow, that’s a long drive. My thought after entering 7up, this is sheer perfection. The condo is absolutely perfect. With ample living space, this condo is great..until you look out at the view, then it’s PERFECT. The view made every ounce os stress melt from our bodies. We used the bicycles, SUP and bicycles daily. Easy proximity to starfish point and Rum Point. The restaurant next door is delicious. Renting a car is essential as it’s pretty far away from everything but totally worth it. The water off the beach is not the crystal blue water of the Caribbean but a short kayak to starfish point or rum point and you are good. Rent 7up if you want to get away from it all and enjoy beautiful nature minus the crowds! 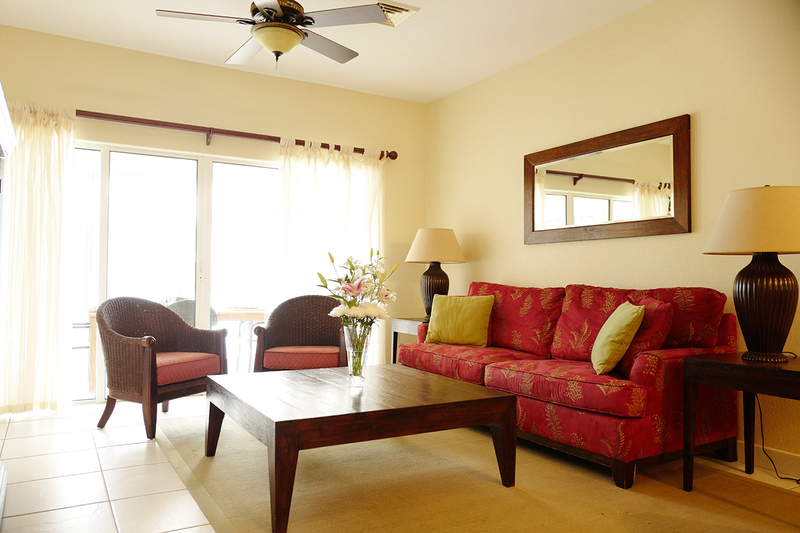 ★ ★ ★ ★ ★ Condo nicely equipped with games and DVDs. The kayaks, paddleboard, and bicycles are a great extra. A couple of us kayaked all the way to Rum Point one morning, 4 miles round trip by water. A short one-mile bike ride to all the action at Rum Point.Views from the patio are excellent. We enjoyed the music wafting over from the yacht club next door. Food and service at the club are excellent. This unit is everything the overview promises! 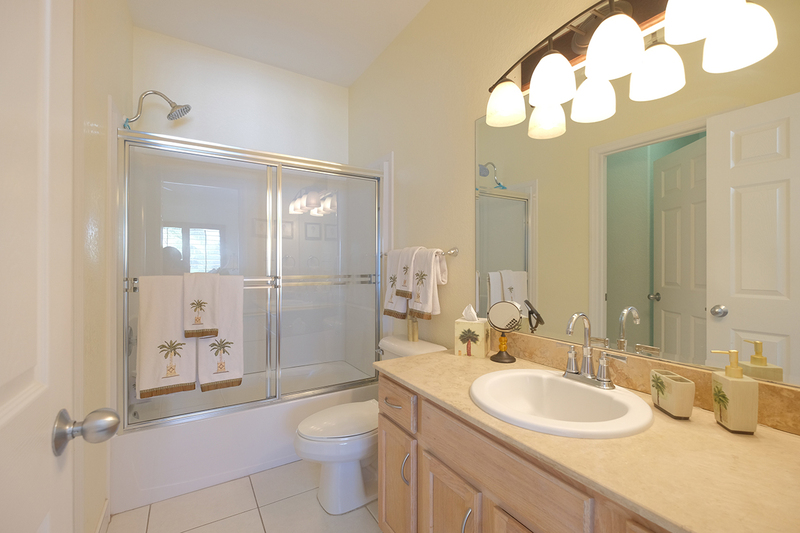 A spacious condo with a very nice master with the en suite bathroom. The view of the marina is beautiful and if you want, the two Kaibo Yacht Club restaurants are steps away.The two kayaks were put to good use and Starfish Point is an easy paddle if the wind is right. We didn\'t use the paddle boards, but it\'s there, along with two bikes that make short work of riding to Rum Point, where there\'s a lot more going on in the daytime versus Kaibo. There\'s also beach chairs, floats, and a charcoal grill.The unit had everything we needed, even beach towels. The kitchen is well stocked with glasses, cookware, corkscrews, almost anything you can think of. A good collection of games and DVD\'s were available.A nice widescreen TV is in the living area along with plenty of seating, although we spent most of our time on the spacious deck with a dining table that seats six.For the price, this is one of the best condos we\'ve ever rented and if you prefer a quieter side of Grand Cayman, this is the spot. 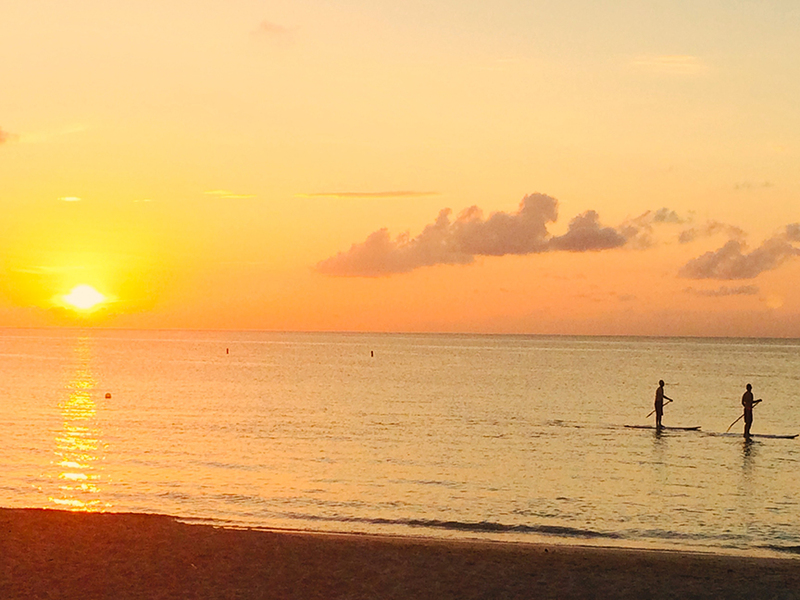 If you want nightlife, stay in George Town. But the east and north side are full of small, hole-in-the-wall restaurants with authentic food at prices comparable to the US. 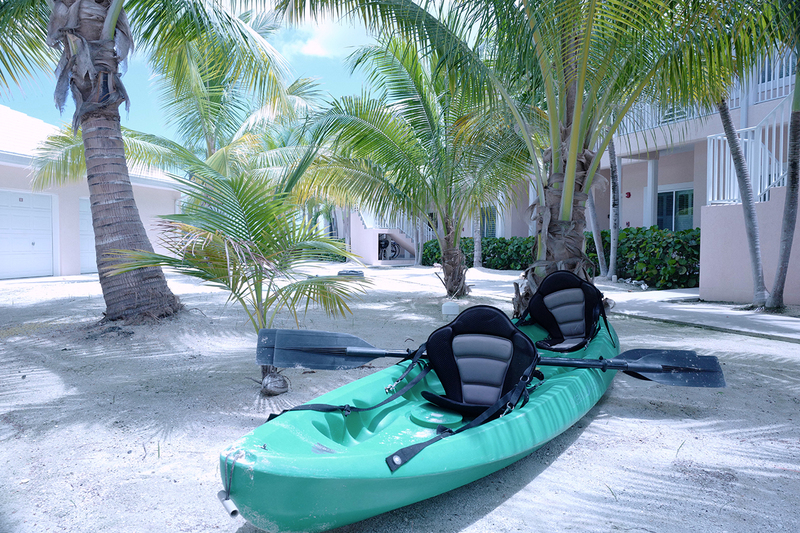 Something to do every day and more like the \'real\' Caymans.It\'s also a short trip to the reef and Stingray City, so book a tour! This was a beautiful place to stay. 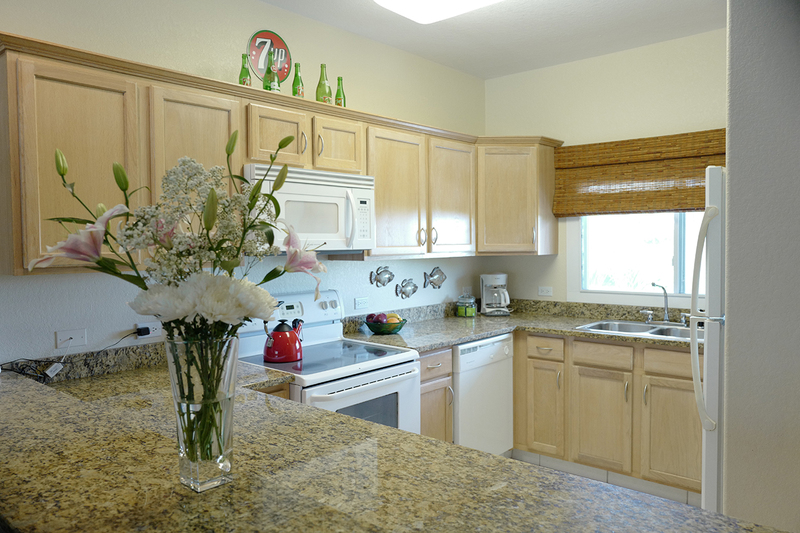 Really clean and nice with lots of kitchen amenities that we loved since we did some meals at home. The boys loved the paddle board and kayak. The pool and lounge chairs were really nice and comfortable. Hammocks all around. The water was a little stinky and definitely not like ocean water, so we ended up visiting other beaches during the day. Super close to Rum Point, but other than that really secluded. We wished the condo was closer to some nightlife or live music, which we learned is mainly on 7 mile beach area, which was about a 45 minute drive. The water taxi only runs until early evening. We flew in on a Sunday and weren’t aware that grocery stores are all closed that day, so had to drive all the way back the next day. Our fav restaurants near the condo were the nice restaurant upstairs just next door-food and service were amazing! Also great pizza at The Lighthouse, and loved our food at Over the Edge. All 3 places have great outdoor seating with views of water. Most places took reservations and filled up fast. All in all, beautiful island and great stay! 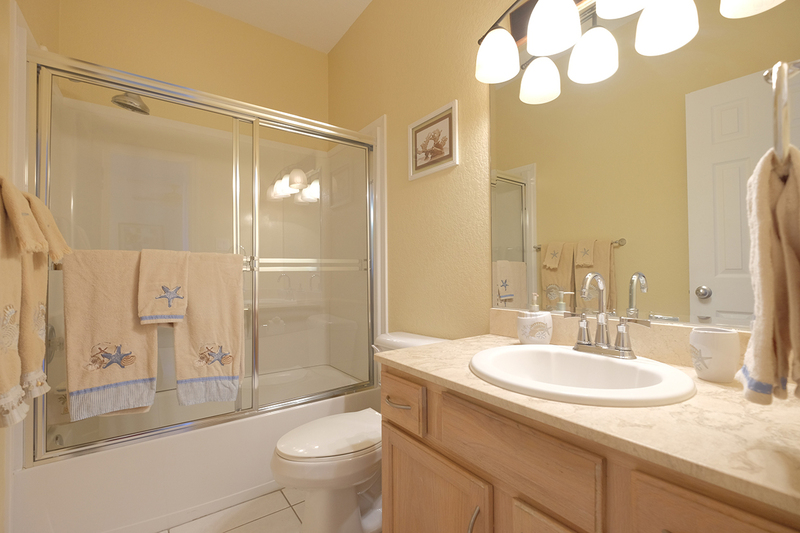 ★ ★ ★ ★ ★ The location of this condo couldn\'t be better. Right on the beach in a quiet part of the island, but still super close to many things right off the beach; like the restaurant and cafe next door, the taxi boat (ferry) at the end of the pier to take you across the bay to the west part of the island, Waverunner rentals by the pier, and other tours and excursions. 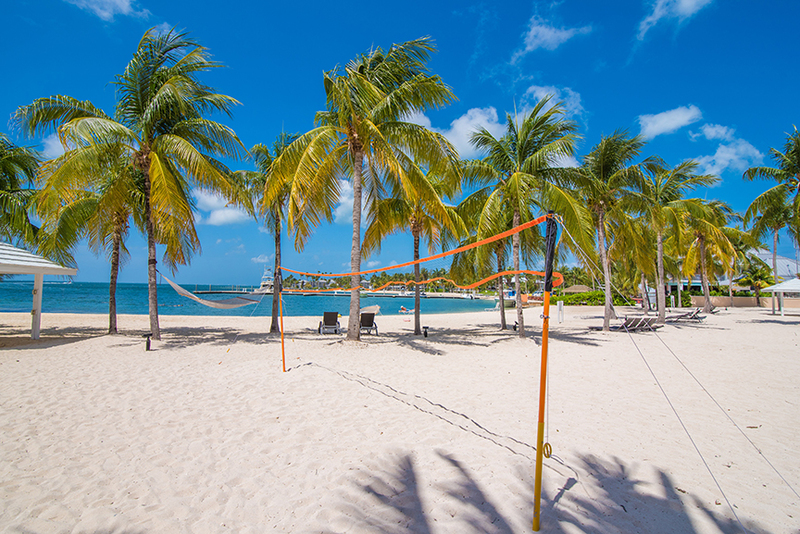 With Rum Point within walking distance you have additional opportunities for water activities close by. But with the unit supplying kayaks, a paddle board, bicycles, and beach chairs there was plenty to do on your own. 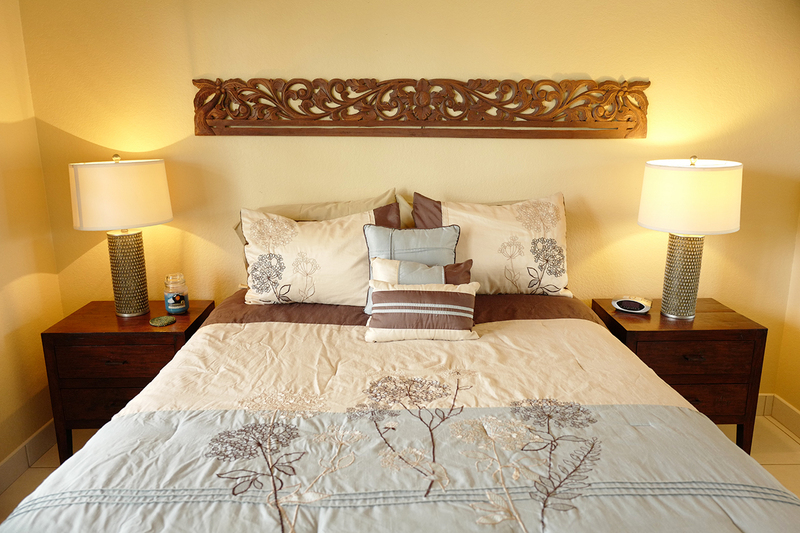 The condo itself was very nicely furnished and clean, and the bed was super comfortable. We also appreciated that some of the basics was already supplied; like coffee, hand and dish soap, and paper towel. We wouldn\'t hesitate to come back again. ★ ★ ★ ★ ★ We absolutely loved this location and condo! We ate breakfast on the screen porch every morning enjoying the peaceful view. The ferry to Camana Bay is right next door if you want to head to the busier side of the island. Kaibo Yacht Club is right next door and had great food and atmosphere. 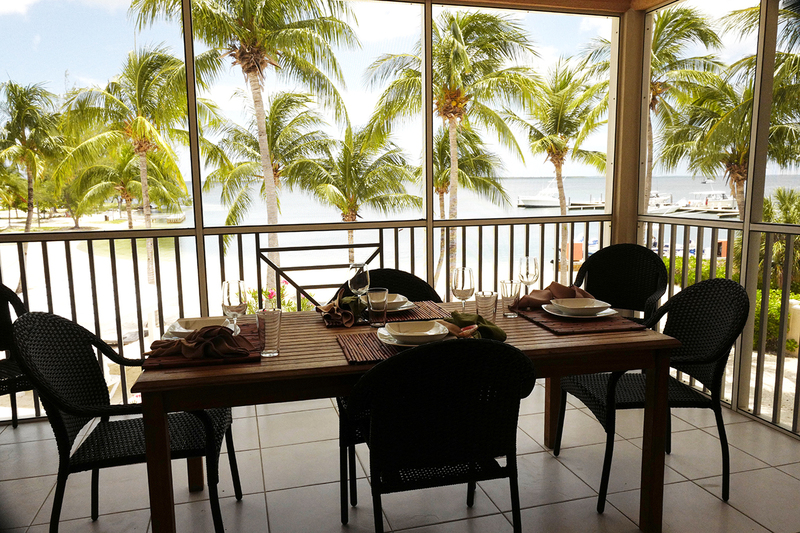 The condo complex is walking distance to Starfish Point for snorkeling and sunsets! 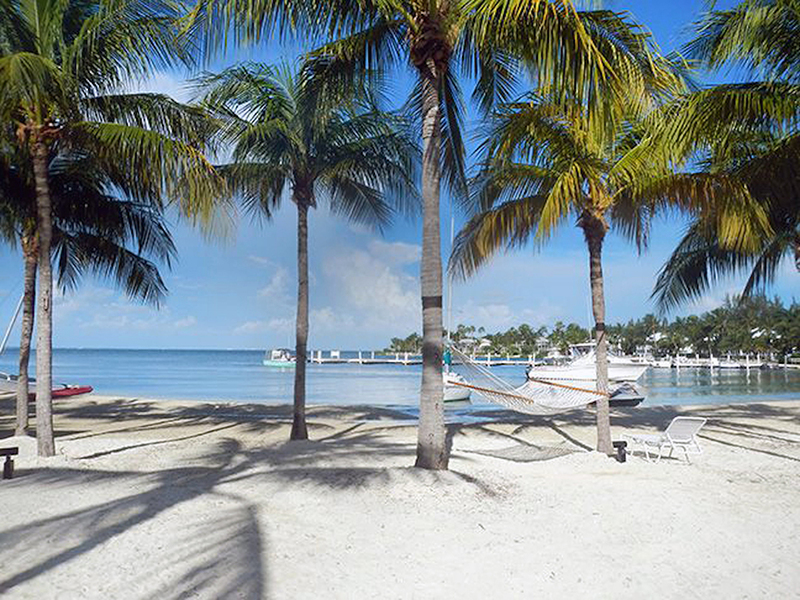 Just a one mile bike ride or walk to Rum Point for snorkeling, lunch and swim. No grocery store close so pick items up on your way in. Looking forward to returning to this Condo again! This is a perfect, clean and very well equipped rental! Our family of 5 and 7 year old loved the Kaibo Yacht Club and 7Up unit! It was perfect for fishing, a great pool and the beach bar/restaruant and ferry to 7 Mile Beach was perfect! 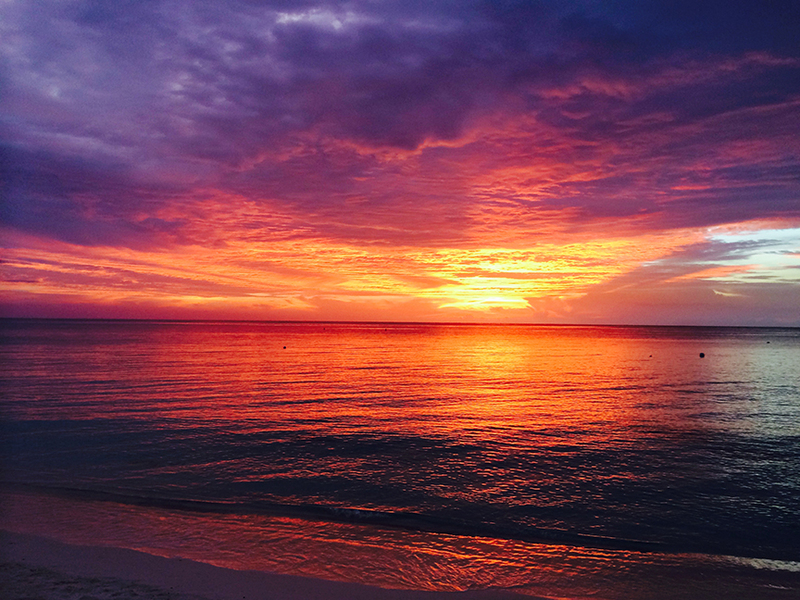 Grand Cayman is beautiful! Great time relaxing at the perfect spot for us in the Caymans! We loved being away from 7 mile beach and the crowds. The condo was very clan, comfy and well supplied! Loved sitting on the porch in the mornings and evenings! The kayaks, bikes, paddle board, beach chairs were an added bonus! Loved pladdling over to Star Fish point, walked to Rum Point, even in the rain and mainly loved hanging and relaxing on the beach. Enjoyed watching the boats come & go, eating in or next door at the Yacht Club. Too the Ferry ride to Camana Bay & walked to 7 Mile Beach for a cocktail. The sunset ferry ride home was the highlight. "Slim" took us on jet skis to Rting Ray City & to Coral Beach for some amazing snorkel time. Wonderful trip! Superb condo with lots of amenities! Kaibo Yacht Club is next door, along with coffee shop, beach restaurant and fine dining (Upstairs). Easy walk to starfish point. Water Taxi to Camana Bay. 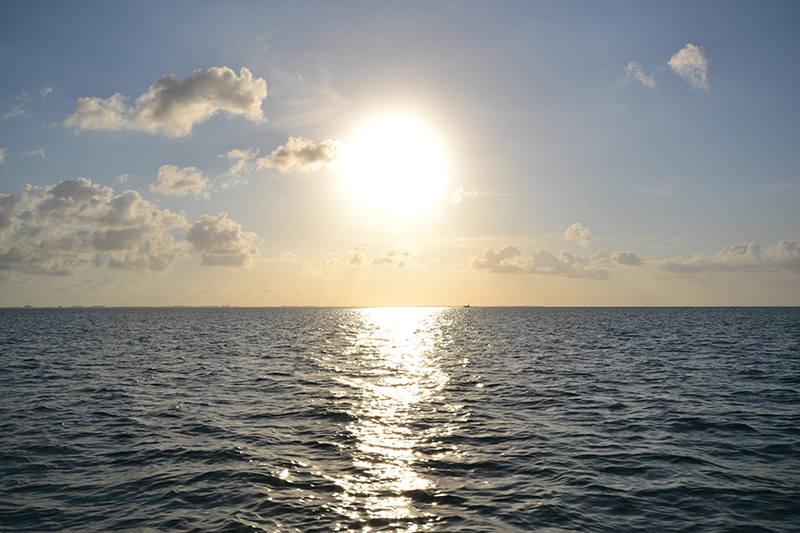 There are a number of water activities and tours you can arrange next right at the Kaibo dock, including Stingray City excursion, Bioluminescent tours, jet skis, etc. About 25 minutes to diving in east end (and most places will arrange van transport). 30 minutes to Spotts Beach if you want to snorkel with sea turtles. An hour to Georgetown... so if you are planning to do a lot there I would recommend staying closer. Worked fine for us, since we only went there one day for diving Kittewake. But if you want to avoid the crowds and enjoy all the aspects of laid-back Island life, this is the place for you. Only complaints -- the Kaibo grill has music some nights and can hear clearly throughout apartment... But was only a few nights and stopped by around 9/9:30pm. Others may not mind the entertainment! Also, the closet convenience store is about a 10 minute drive. 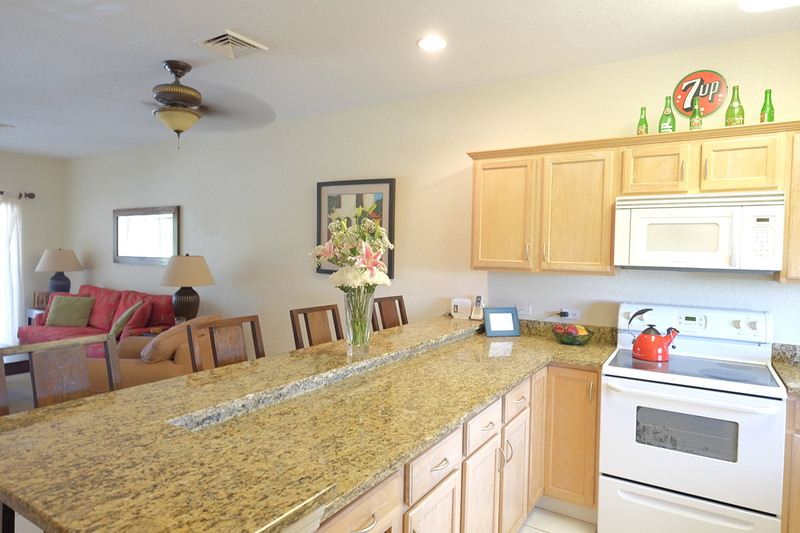 Our condo was very clean and very well equipped with everything we could have asked for! We loved the location away from the hustle and bustle of the other side of the island. Overall just dreaming and plotting for a way to get back to Kaibo 7UP! We absolutely love this condo. It is located at Rum Point. The condo was very clean and had everything we needed for our week stay. 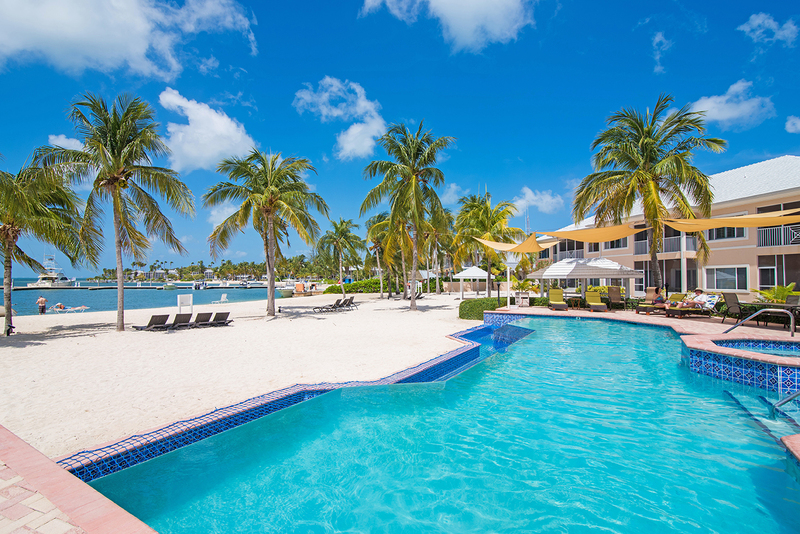 Staying at Rum Point is like being on and Island on an Island. Very quite place to stay. I enjoyed my early morning walks on the beach and on the docks. Took the kayak and bikes out every day. The view for the condo is absolutely breath taking. Star fish point was beautiful. If your looking for a great place to stay stay in 7-UP you won\'t be disappointed. We absolutely loved this property. It was a gorgeous location, and a beautiful property. It was incredibly clean, and well equipped. The beds, even the sofa bed, were very comfortable. We enjoyed sitting out on the balcony at all times of day, and enjoyed the live music from the yacht club next door, which finished promptly at 9pm, so no problems with being kept awake! We enjoyed kayaking and cycling up to Star Fish point (kayak and 2 cycles provided) and snorkeling to see the star fish, and occasional sting ray there. Also great snorkeling at Rum Point, (we found it best to the right of the jetty, around the reef, and also with the barracuda who seems to live under the jetty), and Spotts beach, on the south coast where there are turtles. We can wholeheartedly confirm the earlier, glowing reviews, this really is as good as the pictures show. 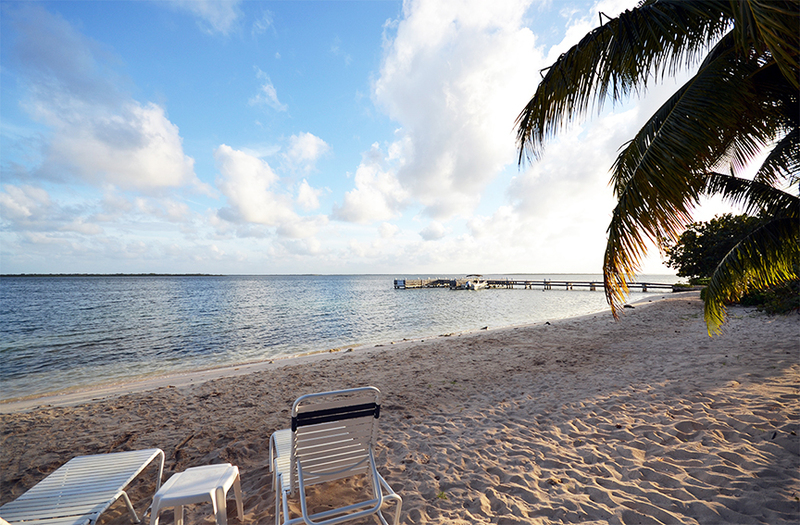 If we ever come back to Grand Cayman (it\'s a long way from the UK), then we would definitely want to stay here again. 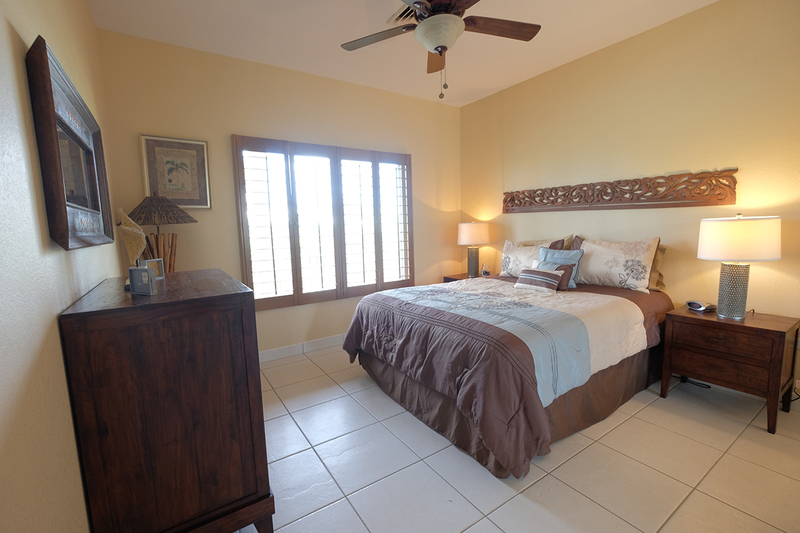 We are seasoned travelers and always prefer to rent condos or homes while vacationing. This was one of the best overall places we have stayed. It was one of, if not, the cleanest condo we have ever stayed at. From the timely response to inquire about booking, cleanliness, to the location of the quiet beautiful area of the Kaibo Yacht Club, beautiful views from the condo (plantation shutters that can be opened widely for an unobstructed view from the master, equipped kitchen, use of a kayak and bikes, and extremely reasonable rates this stay is exceptional. I would give it six stars if I could! We traveled with two adults and three college students and had plenty of room. The Kaibo Yacht club grill/restaurant had just enough action (live music, dancing on some nights) to satisfy us but still make us feel we were not an overly populated area. Starfish Point, a short walk away, really made our trip. 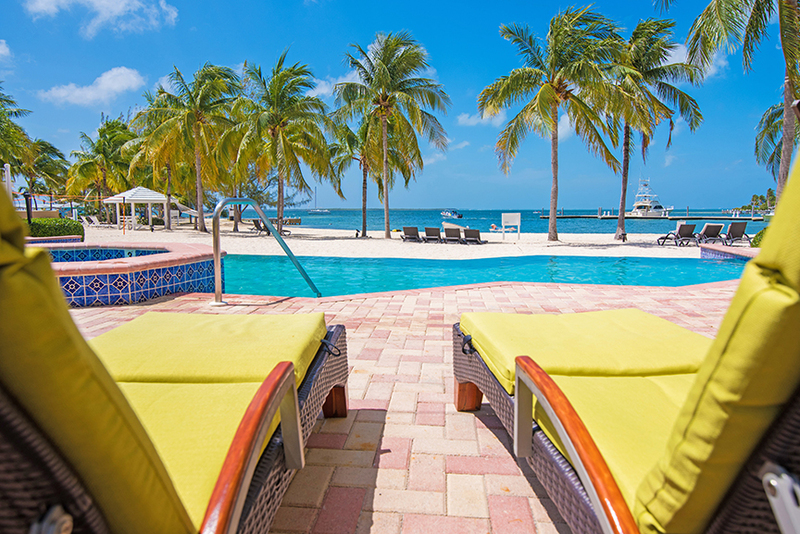 We would take an early morning walk, run, or bike ride only to end it at Starfish Point with a secluded, cooling swim with the starfish and resident stingray! 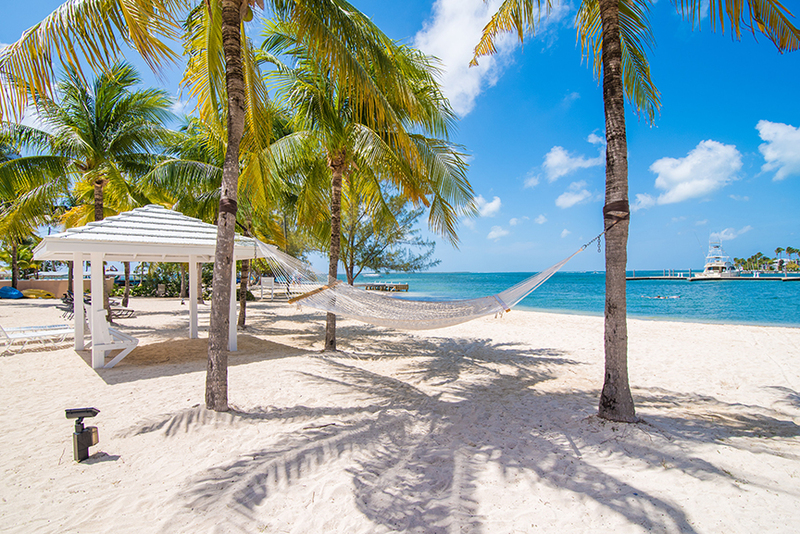 Having traveled to most of the islands in the Caribbean, Grand Cayman is one of the nicest and easiest islands to adapt to no matter your traveling experience. For those who would like to experience the unique benefits of diving but don\'t have the certification, there is great alternative for you through a company called Seafarers Adventurers that offers Snookling. The staff was super friendly, offered great instruction and was extremely patient with those in our party that expressed a little bit of anxiety about this new experience. We will be back...sooner than later!